OnlineForklift.com™ makes it quick and super-simple for Operators to get their Forklift Operator’s Certificate and employers to train their workers with simple-to-use, standards-compliant Forklift Training Solutions. Need to Certify Your Operators? OnlineForklift.com™ is an industry leading training provider offering OSHA Compliant Online Forklift Certification solutions to individual operators looking to get certified and companies who need to certify their valued operators. Our modern, 100% Online Training programs make getting forklift certified simple and quick. Forklift Certification Training programs built to the highest standards. 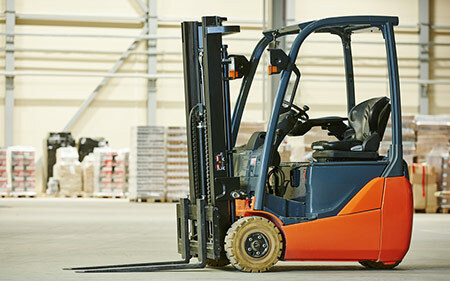 The Occupational Safety and health Administration (OSHA), The American National Standards Institute (ANSI), and the Canadian Standards Association (CSA) each have a standard that outlines many guidelines and recommendations relating to forklifts/lift trucks. Among these are very specific requirements relating to forklift operator training. Our Forklift Certification Training has been carefully designed to meet and even exceed the training requirements that have been outlined in each of these standards. Because employers are required to comply with these standards (OSHA and ANSI in the USA, and CSA in Canada), training and certifications that have been aligned with them will be seen as more valuable than those that have not been. It’s important to note that in order to completely satisfy the requirements of the standards, workplace and equipment specific training must be completed by the employer, along with a practical evaluation. These workplace training components cannot be completed by any third party provider whether they offer online or live training. The reason for this is that each workplace is different and poses unique hazards. An employer is best suited to train workers on these unique circumstances that exist within their workplace and their specific equipment. Get Your Forklift Operator Certificate Today! Pay $49 AFTER you pass! Sign Up Now for free to take the OSHA Standards-Compliant Forklift Operator online training program. Once you complete the training course, you’ll be given the option to purchase your official certificate that can be viewed and printed immediately. A dynamic, OSHA-Compliant Forklift Operator Certification Training Online Course. 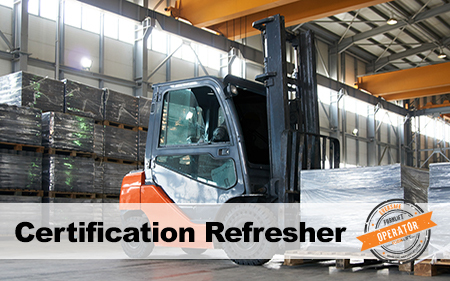 An OSHA-Compliant Forklift Certification Refresher Online Training Program (1 – 2 Hours). 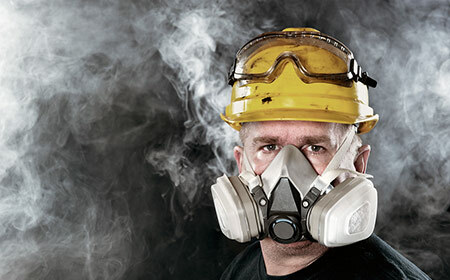 A dynamic, 60-Minute OSHA-Compliant HAZCOM Certification Training Course for all workplaces. Our Forklift Operator training solutions allow you to quickly and effectively provide Forklift training to your workers, contractors, and groups using your preferred training method. We make it easy for employers to deliver high-quality Forklift training to their workforce using affordable, time-saving training options. Need a simple and fast way to train groups of workers? Save time and money with our Forklift Operator Training online solutions. Have your own LMS? Our Forklift Operator Course licensing option lets you deploy high-quality Forklift training to your operators.